I have a little bit of a confession (stick around and you will probably read a lot of those), but my family inherited the hoarding gene, BAD. Both my parents have had a hard time letting go of things with sentimental value and sadly enough they passed that trait onto me. Disclaimer: We are not like those people in the TV show, Hoarders, so don’t freak out just yet. That being said there are still some things lying around my parents house, garage and shed that they just can’t let go. 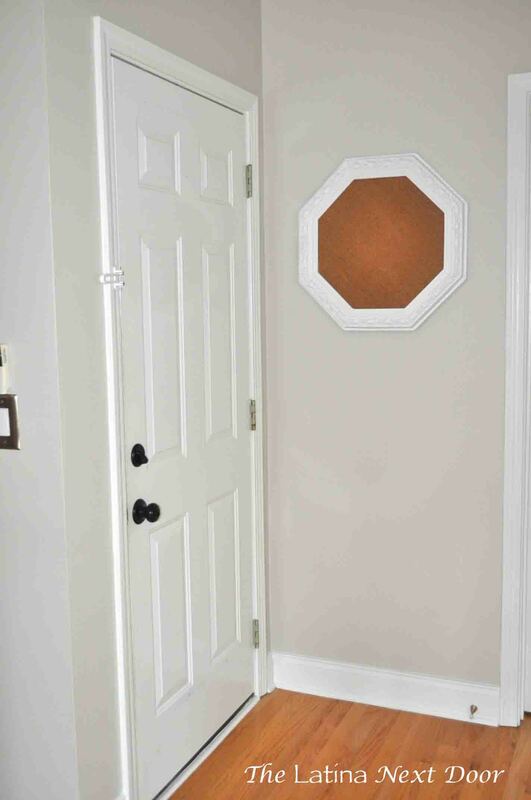 For example, my parents received an octagonal mirror as a wedding gift over 33 years ago that they could never let go. It’s not the prettiest of things and it’s made of plastic, but I always liked the shape… I guess they did too. They didn’t really have a use for it, so I offered to take it to my new home. 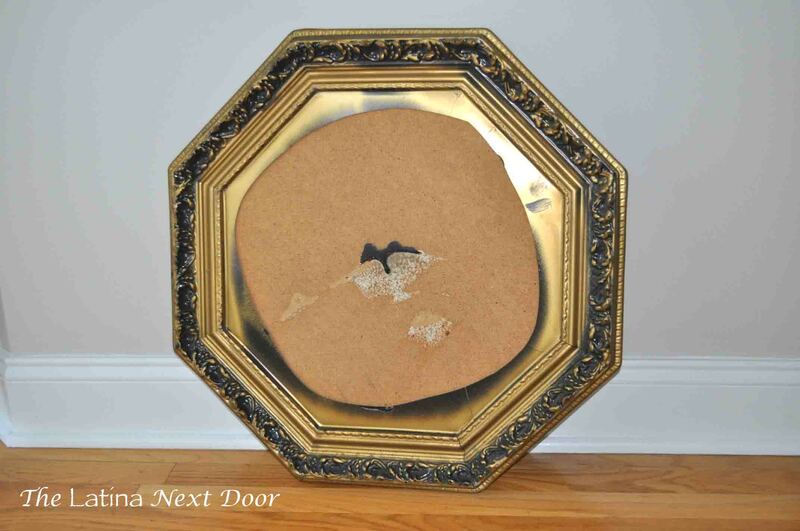 But with just my luck, the mirror breaks during the move. Leave it to me to break something that lasted over 33 years! Okay, so this is what I had left to work with…. and still I just could not throw it away especially since my parents kept it for so long. I felt really bad…. Okay, so what to do? Well, first I started by fixing a crack it had. I didn’t have any caulk, so I used wood glue and it worked! YAY! Then, with my collection of leftover spray paint, I used some primer for plastic and then painted it a glossy white color. You just can’t go wrong with white. 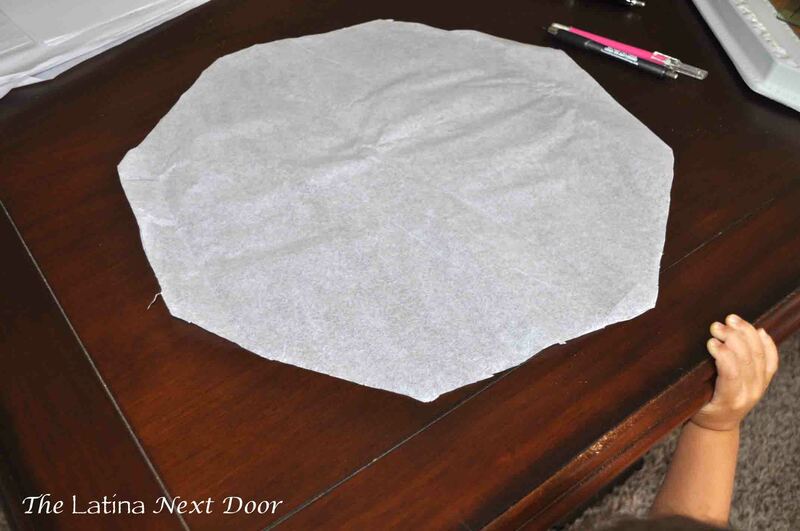 Then I took some tissue paper used for gift bags and traced the octagonal inner shape out (it didn’t have to be perfect). I had a little helper too, or should I say, supervisor during the entire process. 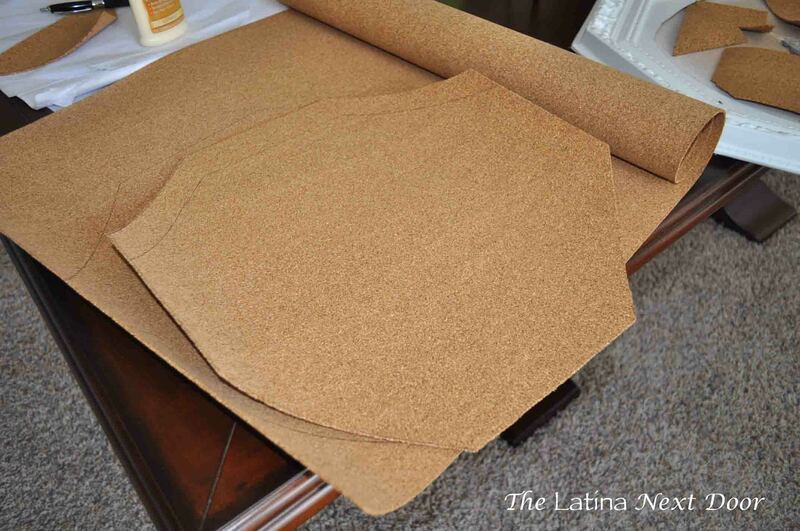 I had seen a large roll of cork at Hobby Lobby for $15.99, if I remember correctly (I need to keep up with my receipts better). I definitely used my 40% coupon and got it for under $10.00 and then used the tissue to trace out the cork. I still have a bit of cork left over too. The cork was rather thin so I cut out 2 pieces and doubled them up. 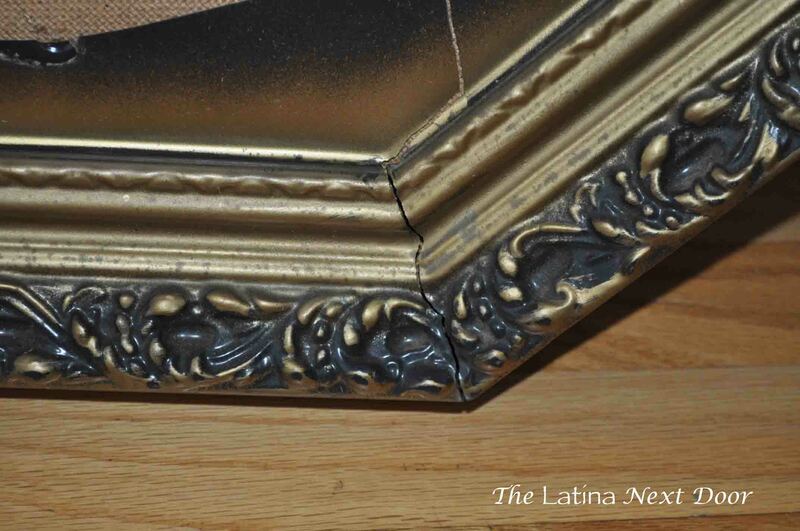 I used wood glue to seal them together and then glued them onto the frame. And viola! 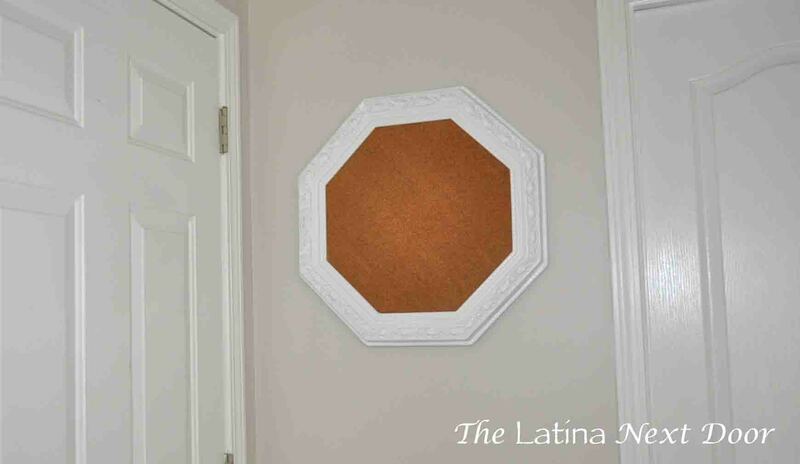 A new cork board. It’s so purdy! We joke and say it’s the new “family heirloom”. I placed it on the small wall in the kitchen near the door to the garage. I usually post coupons and appointment reminders so I have them handy on my way out. It’s also not too far from my buffet, which I posted about here. I think it turned out great! The cork works well and I am happy I was able to salvage it. Sometimes, it’s worth hoarding…. I mean, it cost next to nothing to make, I used something that was sentimental to my parents and at the end of the day, it’s totally unique! 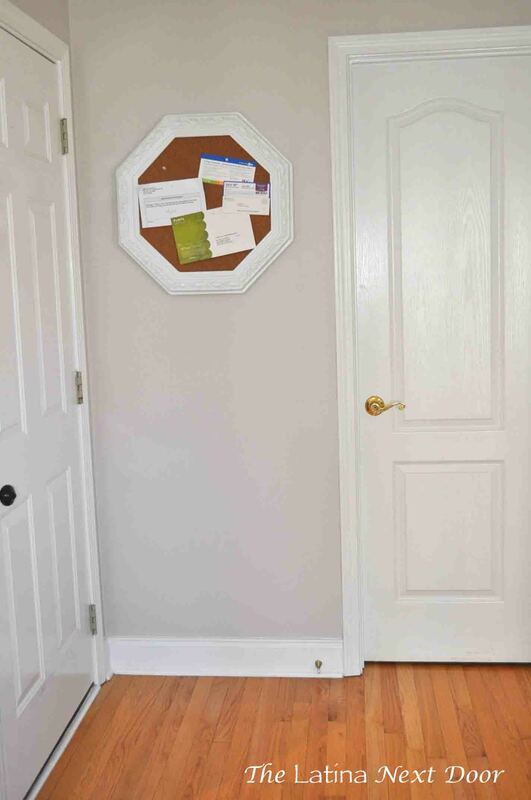 The closest thing I could compare it to was this cork board from Ballard Designs on sale for $129.99! YIKES! I mean don’t get me wrong, theirs is pretty, I ‘m sure it’s well made and most likely NOT made of plastic, but for that price they can keep it. Plus all other cork boards I have seen are just rectangular. 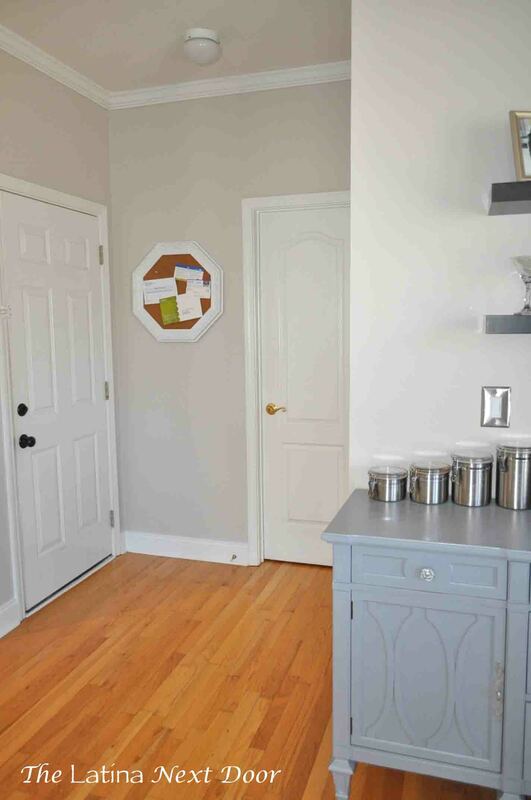 No matter how much I can argue the pros of hoarding, my husband, however, will never agree….